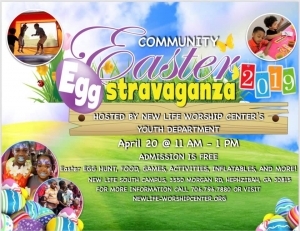 Join the New Life Youth Department at this community event on April 20th from 11am to 1pm. There will be an Easter egg hunt, games, activities, inflatables, and more! Minister Danielle Harris will be speaking at Parkview Christian Life Center, Inc.’s Revival April 22nd and 24th. Call the church office at 706.796.7880 for more information. 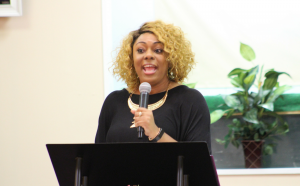 Bethel Community Apostolic Church, 2599 Kelly St.
Minister Danielle Harris will be speaking at Bethel Community Apostolic Church’s Women’s Conference and Singles Workshop. The Women’s Conference is April 26th at 7:30pm. The Singles Workshop is April 27th from 10am-noon. Pastor Regina T. Harris will be speaking at Rehoboth Worship Center’s 14th Patoral Anniversary on May 3, 2019 at 7:30 pm. Pastor Regina T. Harris will be speaking at House of Mercy Ministries Church of God In Christ's 12th Anniversary Revival. Minister Danielle Harris will be speaking at Samaria Template COGIC on June 9th at 3pm. Pastor Regina T. Harris will be speaking at North Central GA Jurisdiction’s Annual Women’s Covention. State Supervisor Mother Mary Tucker. Happening at New Life Tabernacle COGIC on September 6, 2019 at 7pm. A bus will be traveling to Atlanta for this speaking engagement. Call the church office at 706.796.7880 for more information. Minister Danielle Harris will be speaking at Rehoboth Worship Center’s Women’s Conference on September 20, 2019 at 7:30pm. 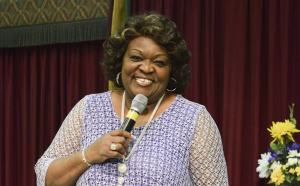 Pastor Regina T. Harris will be speaking at the Birthday Service of Prophetess Geraldine Stephens at Miracle Healing Temple on October 18, 2019 at 6pm. A bus will be traveling to Milledgeville for this speaking engagement. Call the church office at 706.796.7880 for more information.